Tens of thousands of people are in Paris during these first two weeks in December, bound by their common purpose to provide future generations with a better chance of a better life. At the same time, elsewhere, billions of people are working every single day for that same common purpose -- to improve their own lives, the lives of their children and future generations. This 21st 'Conference of Parties' is my first direct experience of the United Nations climate summit, despite the fact that I have worked in related sectors -- mostly in private enterprise -- for decades. The negotiations can feel, from the outside, like an arcane, remote process. Yet it did not take more than the first few hours of the first day to realize this process is anything but remote. The voices of the world's leaders are echoing the voices of the hundreds of millions of people whose lives and livelihoods depend on the decisions made this week. In his opening address, President Barack Obama said: "We have proved that strong economic growth and a safer environment no longer have to conflict with one another; they can work in concert with one another." The story has to be one of economic opportunity and ecological function working together: ultimately, everyone's prosperity relies on nature. Natural resources lie at the heart of all human development stories -- from the first settlers who began tilling the soil to later civilizations who have relied on resource extraction: whether wood, minerals, coal or oil. 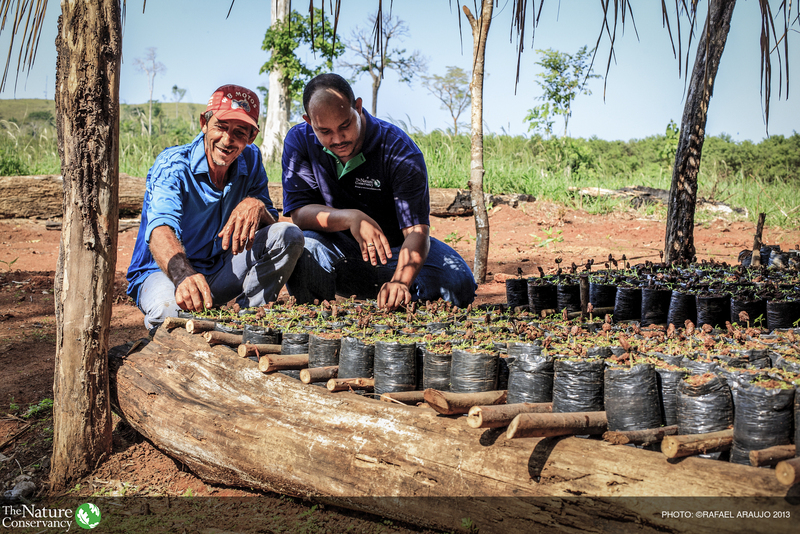 Today, nature holds a powerful solution to both our development and environmental challenges. As well as securing water supplies and cleaning our air, natural systems have been stabilizing the climate for millions of years. If we stop degrading that potential -- and even enhance it -- it has potential to do yet more. 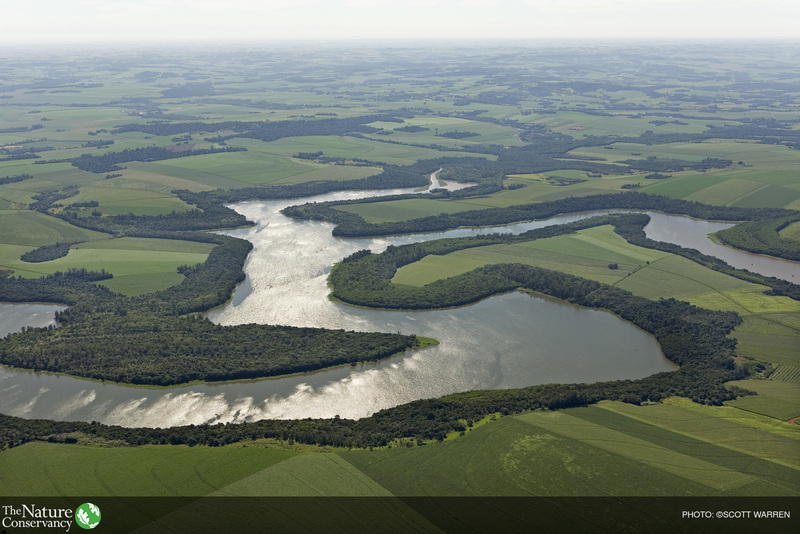 Three huge ecosystems offer this opportunity -- forests, wetlands and grasslands. And three strategies will allow us to truly unlock the carbon-storing potential of these systems: improving land management on our already converted lands; avoiding future conversion of critical lands; and restoring landscapes on a global scale. The Global Landscapes Forum takes place in Paris this weekend. Some 3,000 people are uniting around this agenda: indigenous peoples, financiers, policymakers, large corporates, smallholders and a broad range of civil society. My organization -- The Nature Conservancy -- is participating in many activities: working alongside governments including the US, China, Mexico, Brazil and Indonesia; partnering with indigenous peoples from Australia to Africa; hosting discussions with civil society partners, financiers and corporates; and showcasing the latest tools and technologies that are being deployed on the ground. All of us are working with the reality that development pressures continue apace. We have already converted half of our world's ice-free lands -- for agriculture and forestry -- and a new study by my colleagues shows that 20 percent of the world's remaining natural lands are at risk of development by 2050 -- an area more than twice the size of the United States. In Africa alone, the amount of natural land that will be converted to 'working' land is set to triple. Furthermore, there is an estimated $70 trillion of infrastructure investment coming down the pipeline by 2050.